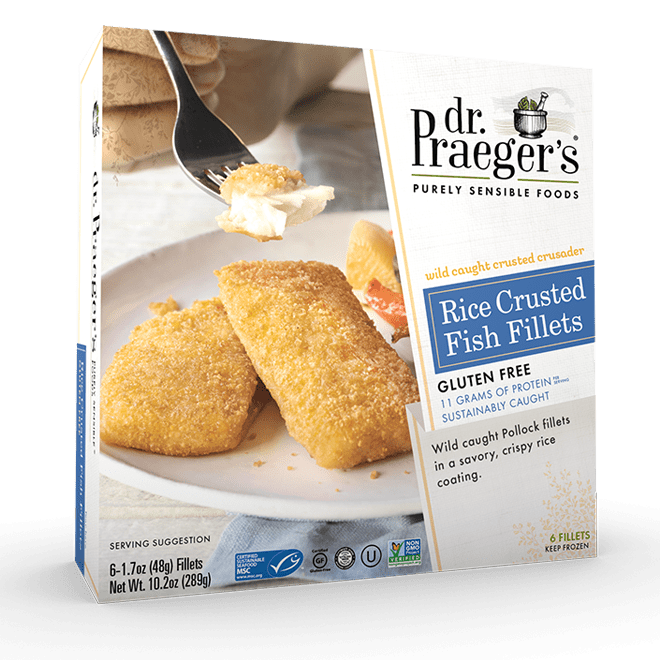 Wild caught Pollock fillets in a savory, crispy rice coating. Gluten Free Fish Fillets. Preheat oven / toaster oven to bake at 450ºF. Place fish fillets on an ungreased baking pan. Bake approximately 11 minutes until browned. Carefully flip and bake an additional 8 minutes, until heated through and well browned. Preheat vegetable oil in a non-stick pan over medium heat. Cook fish fillets approximately 5 minutes. Carefully flip and cook an additional 5 minutes, until heated through and well browned.